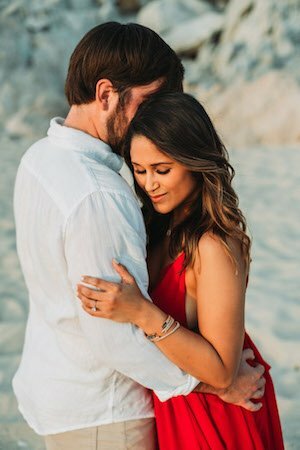 Happy Wedding Wednesday everyone! 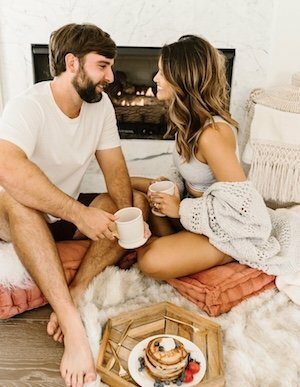 Maybe I’m biased because I’m a shoe addict, but I don’t think you need to be married or engaged to know that wedding shoe shopping goes right up there next to wedding dress shopping! In fact, for some, it might even beat out dress shopping! 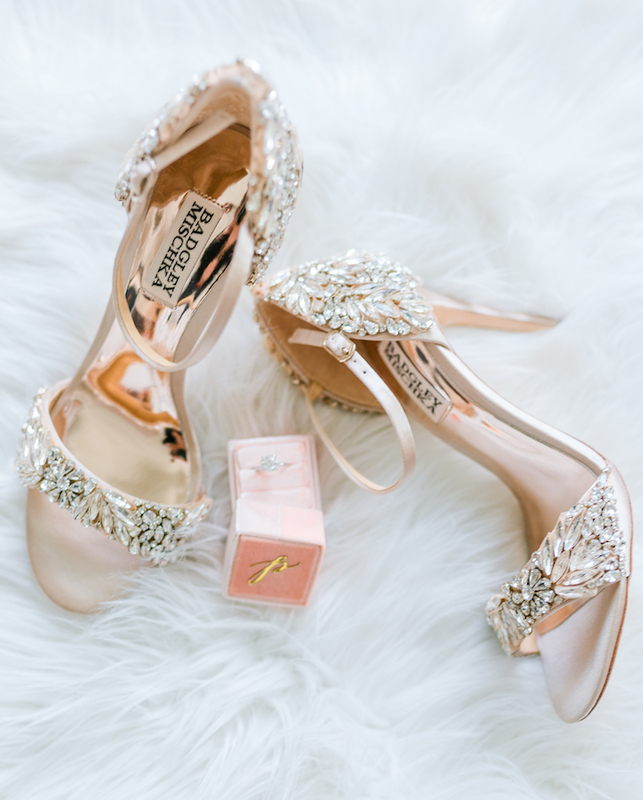 Before you call me crazy, hear me out….1) Who doesn’t drool over stunning embellished wedding shoes! 2) It doesn’t matter how much you’ve been dieting or working out, you’re still always be the same shoe size. 4) They make great shelf decor in your closet. 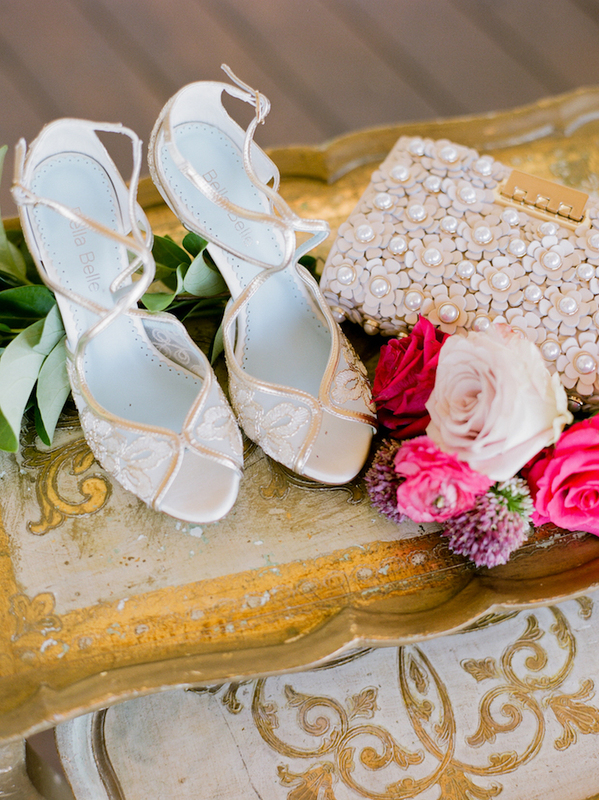 3) Last but not least, you can’t re-wear your wedding gown to a special event, but you can always re-wear your wedding shoes! I’ll start by showing you my absolute top favorite shoe that I wore to my New Orleans family wedding ceremony. 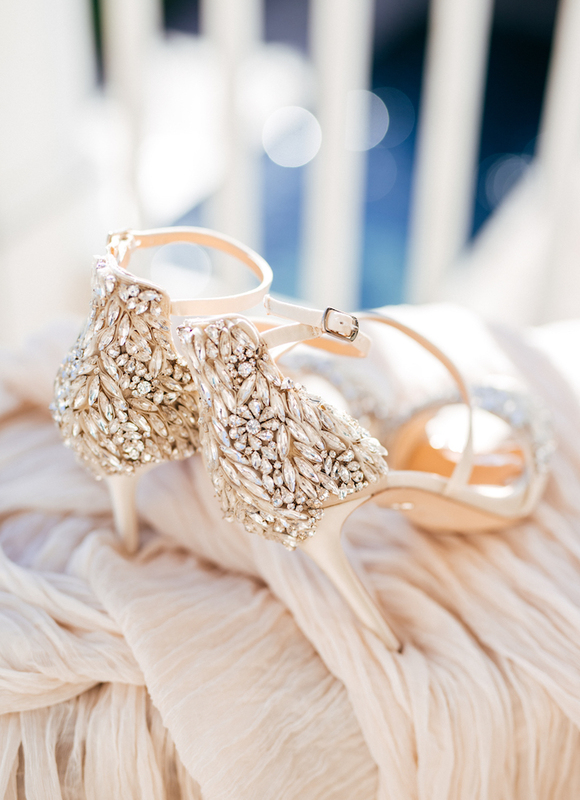 The Badgley Mischka Selena Strappy Sandal! 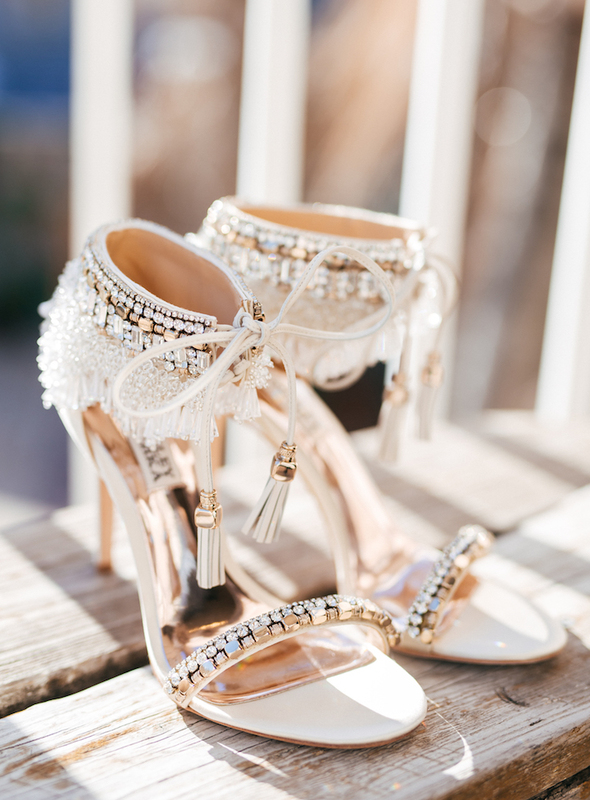 These heels sit right at the top of my list because I love the embellished jewel details. Also the criss cross straps and the height of the heel could flatter anyone’s legs and feet. People warned me that they snag the inside of your dress, but who cares about the inside of the dress. No one even sees that! You just have to be careful while you’re walking though so that you don’t trip if the dress gets caught. I didn’t have any problems though! 3) The Tampa Heel | This shoe is perfect for everyone who loved the first pair I listed minus a half inch and a little less strap action. It’s equally as beautiful as the first pair, but slightly less expensive. 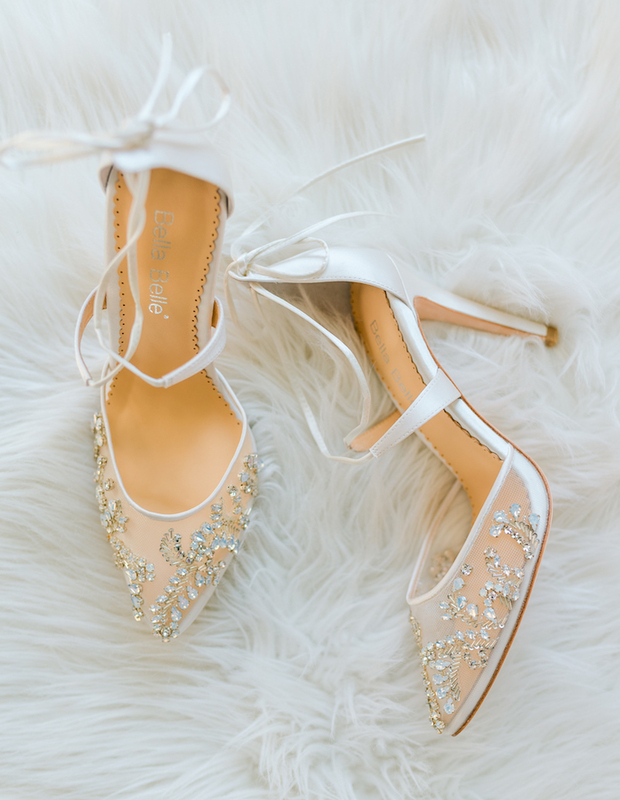 4) The Cara Crystal Embellished Flat Sandal | This jeweled sandal is great for tall brides who don’t need the extra and height and would rather be comfortable all day long. Also, it’s perfect for beach weddings or for brides to change into after the ceremony. 6) The Annette Feather Heels | I’m not gonna lie… these are some pretty “fly” shoes! 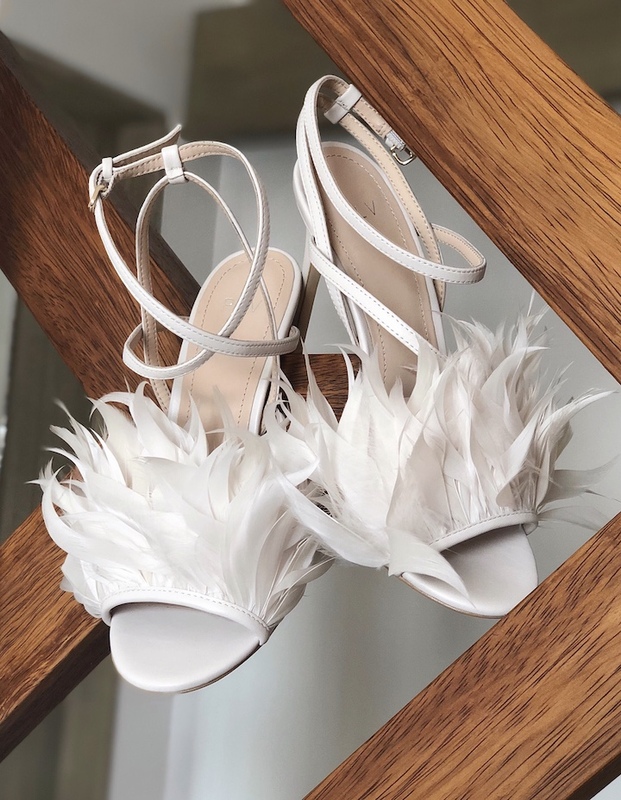 These show stopping feather heels were made for the bride who wants to make a statement at her wedding. Plus they’re super cute for other occasions besides weddings. 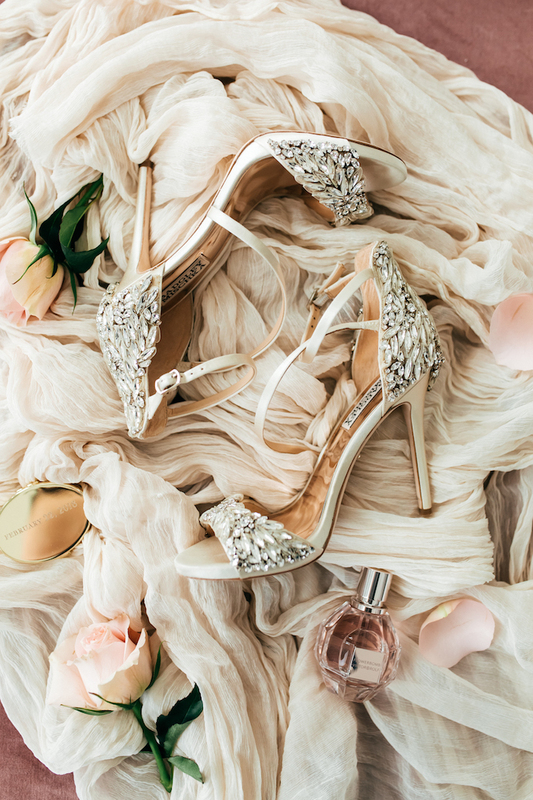 You don’t need to be a bride to rock these killer heels! 7) The Florence Embellished Bow Pump | Have you ever seen a more dainty and feminine shoe? 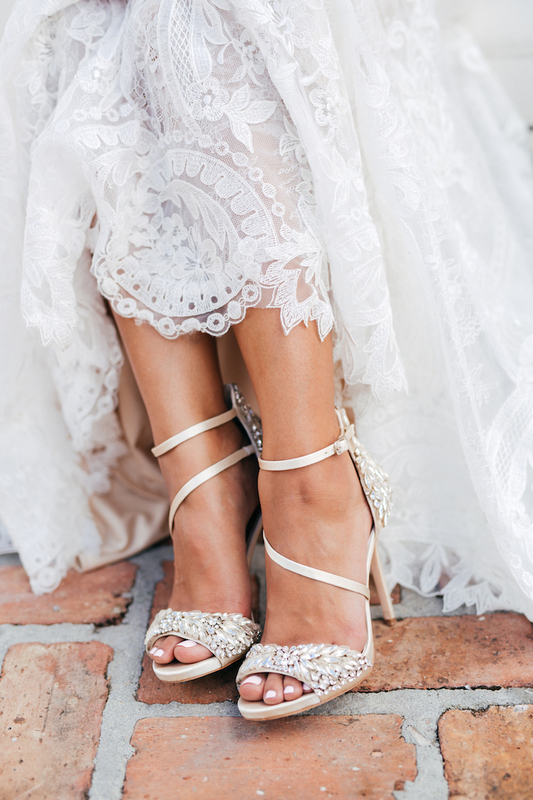 These sheer embellished pumps by Bella Belle are the essence of bridal shoe beauty. 8) The Tess Peep Toe Sandal | That’s right… blue soled shoes! 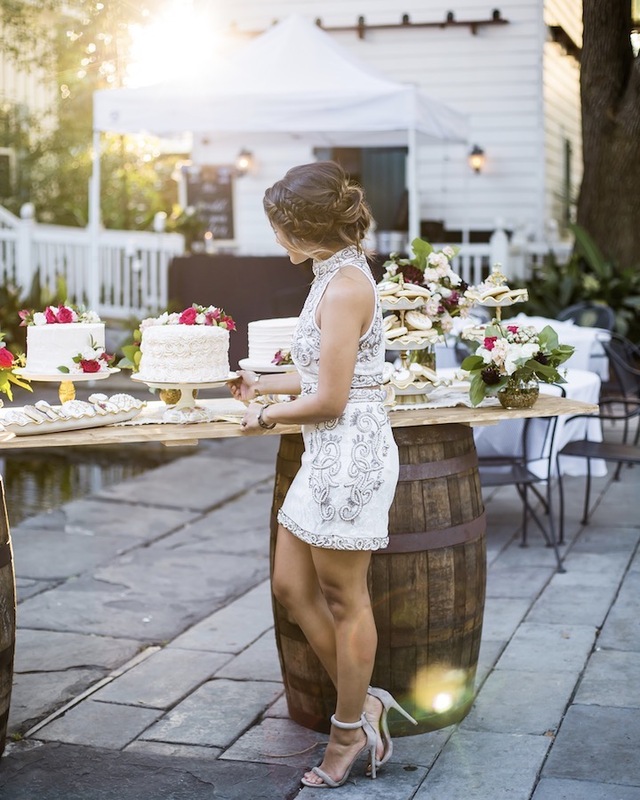 Have you ever seen a more adorable way to incorporate “something blue” into your wedding day. 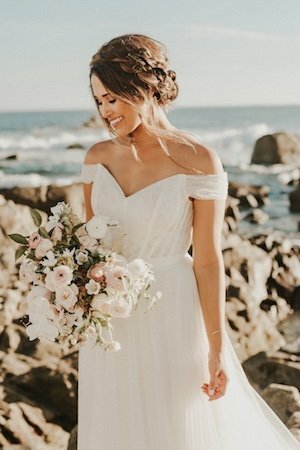 9) The Bridal Bootie | No, not that kind of booty! I’m talking about sheer peep toe booties for the edgy bride. 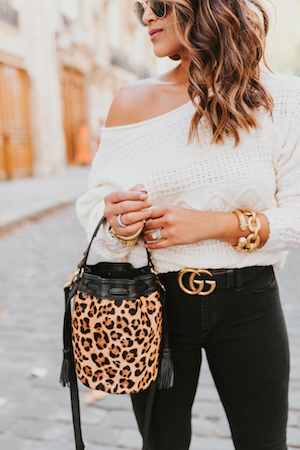 I didn’t get this style for myself, but I know a few gal who could really rock these! 10) The Day After Shoe | Believe me when I say that after a full day in heels and night of crazy partying and dancing, your feet are going to be sore as hell! In fact, my whole body was sore from dancing! 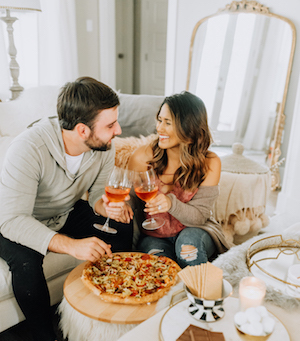 However, tired feet won’t stop you from wanting to continue celebrating with your friends at your farewell brunch or trying to make it through the airport to your honeymoon. So make sure to invest in some comfy shoes that you will get you through the next day even if that just means a pair of slippers at the hotel!